Material: Polyester outer with PVC coating. Zip out inner fleece jacket. Detachable mesh lined hood with stud fastening, toggles and visor. 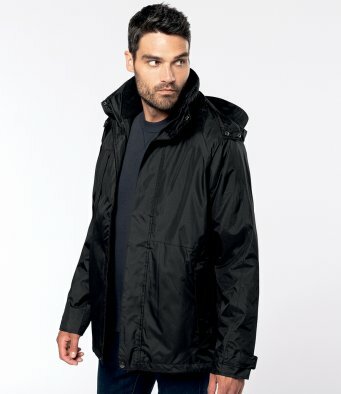 Outer jacket has collar high full length zip with studded storm flap. Inner polyester outdoor fleece jacket has a collar high full zip.